Mold Remediation Pros is a expert mold removal Decatur GA provider. We offer mold inspection, cleaning, testing, remediation, and warrantied removal. Mold isn’t just a nuisance. It’s relentless and aggressive and can take over your home or business before you know it. 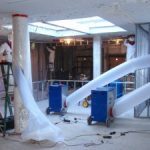 Any time water is introduced into your building structure; whether it’s a home, office, or warehouse, there is an opportunity for mold to form. Within just two to three days of standing water and the formation of mold, the allergens in the air can begin to irritate your breathing. Left untreated, the mold can contribute to even more severe, long-term health problems. Please visit my mold remediation page for more information about my full services. We service Albany ,Cartersville, Dublin, Alpharetta, College Park, Americus, East Point, Athens, Cordele, Augusta, Covington, Gainesville, Bainbridge, Dalton, Griffin, Brunswick, Decatur, Hinesville, Buford, Douglas, Kennesaw, Carrollton, Douglasville, Smyrna, Peachtree Corners, Roswell, and surrounding areas. Mold Remediation Pros are available 24/7 for all you emergency needs. Please contact us today at (470) 205-4188 for emergency service. Mold Remediation Pros is centrally located near the Decatur Ga Visitors Center which has a nearby famous attraction of the Waffle House Museum in case you get hungry.Decatur is located at 33°46′17″N 84°17′52″W (33.771355, -84.297732).According to the United States Census Bureau, the city has a total area of 4.2 square miles (11 km2), all land. Directions from Decatur Georgia Visitor Center to Mold Remediation Pros. Head north on Clairemont Ave toward Marshall St. Continue on US-23 N/Clairmont Rd. Take I-85 S and GA-400 N/Hwy 400 N to Connector State Rd 141/Lenox Rd NE in Atlanta. Take exit 2 from GA-400 N/Hwy 400 N. Drive to Piedmont Rd NE and you arrived 3620 Piedmont Rd NE Ste B 5019, Atlanta, GA 30305.